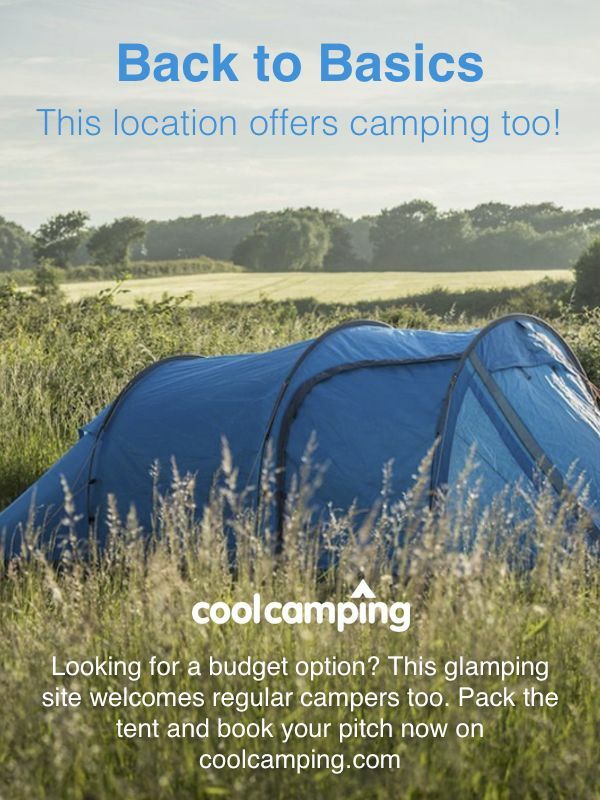 This tent will awaken the adventurer in you, while offering all the comforts you need. Like a Canadian Trapper, you can sleep under a canvas roof, while enjoying the pleasure of a good bed, private bathroom and even a wood-burning stove. The Trappeur Tent features a main room with kitchen area (gas stove with two burners, fridge, storage, sink and crockery all provided) and a dining area with table and chairs and a wood-burning stove. There are two sleeping areas: a parents' area with a double bed (140×200) and a children’s area with three single beds (60×200). The tent also has its own bathroom with shower, washbasin and toilet. Outside there is a wooden terrace with a barbecue, parasol and two fold-out chairs. Please note: all our Canadian Trappeur accommodation is equipped and furnished in a similar fashion, but your actual accommodation, location and outlook may differ from that shown in the images. The site has plenty of facilities and a whole host of nature activities which are included in our packages for active holidays for children and parents alike. Facilities include an outdoor swimming pool and an indoor heated pool (from 13/04 to 04/11) as well as a forest spa. Imagine saunas in little wooden huts on the banks of the lake, a refreshing jacuzzi, and sun beds where you can recline in the shade of the trees. Relax and unwind… (from May 24th – Area reserved for adults). Shower- and wash-rooms are dotted around – some under canvas and some in wooden huts. Fixtures, water pressure, and cleanliness are good. Good baby-changing facilities. Swimming lake, with a bar/restaurant stretching over it on stilts that serves grilled meats and pizza. Upstairs has a good stock of board games. There is a vast array of children’s activities daily, concerning nature and art, and adult activities of an evening. Site shop sells essentials and some local produce. Reception has plenty of information. The town of Senonches is charming and appears to have dropped from the sky into the centre of the forest. There is an 11th-century castle and plenty of interesting architecture. Parc Régional du Perche is 450 acres (182 hectares) of natural and cultural heritage, with fortified manor houses, farmsteads, and villages. Cycling or walking is best for exploring the region. Chartres is 25 miles (40 km) away with a medieval old town and cathedral. A bar and restaurant overlook the lake with outdoor seating. They serve grilled meats, pizza and fresh breads and pastries at breakfast time. Both Chartres and Senonches (see off site) have great restaurants to discover. From Paris take the N12 to Dreux and then the D928 towards Digny. Then head towards Senonches and follow the Huttopia signs. From Chartres take the D24 towards Senonches and follow the Huttopia signs. 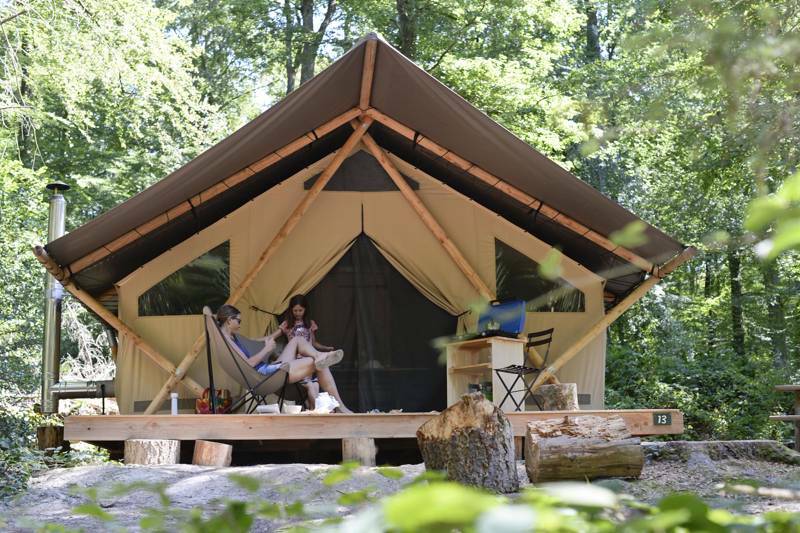 20 large and private pitches for tents, each with its own picnic table, and several glamping options: Wood Cabins, Canadian tents and Cahuttes.